The cover of this book is gorgeous. I love the color blue, so the color scheme is pleasing to my eye. The silver font is enticing. The storyline hooked me even more than the cover. Who wouldn’t love to experience their favorite book and be inside the story? Amy Lennox gets whisked away to an island in Scotland by her mom for school vacation. She has no idea what awaits her. Amy discovers there’s more to her family than meets the eye. Her grandmother lives in a big, old house. There are cliffs and moors. There is a secret library with classes on how to be a Book Jumper. Amy meets fellow book jumpers William and Betsy McAlister. They are relatives of the warring house that due to a truce band together to make sure that nothing alters the stories they jump into. When a story character winds up dead in Scotland Amy and Will join forces to figure out whose set on killing storybook characters. Who will be a friend and who is a foe? Who can they trust? Is all as it seems in Scotland? This novel was outside my usual reading preference. I don’t normally read fantasy. This novel does mention current social media networks like Facebook, which with the story being set on an island in Scotland threw me off a bit, but it is set in modern times, so I shouldn’t be surprised. I love the concept of being inside a favorite story, so the premise of this book got me enthusiastic to read it. 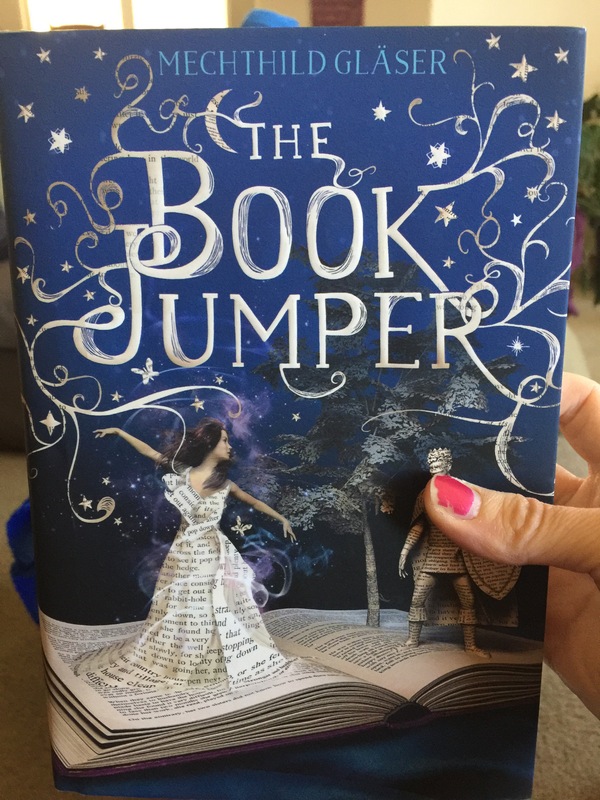 If you love fantasy and want a fun read I highly recommend The Book Jumper.